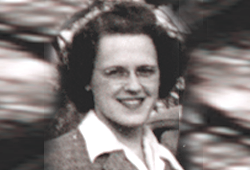 Marjory I. Corbly adopted Saint Patrick High School as her charity of choice. She never married, and her entire professional life was lived out as an office clerk and assistant. She had no immediate family in the Chicago area, but she was always available to travel to southern Illinois and northern Indiana to help her brothers and sister whenever needed. As it turned out, she survived the last of her siblings, Kenneth, but only by several weeks. Marjory was not Catholic, and she was not particularly familiar with Saint Patrick High School, having briefly visited only once. However, if Marjory was anything, she was practical. She lived simply, she watched her income carefully, and she invested her savings wisely. But most importantly, and as fiercely independent as she was, she was practical enough to plan ahead for the time when she could no longer take care of herself. At her request, her financial advisor, along with her lawyer, were asked to suggest someone from a worthy charitable institution who could be trusted to act as her Power of Attorney when the time came that she would need someone to act on her behalf. That was in 1997, and it was not until August of 2003 that Marjory's health started to decline and she required such assistance. Marjory died peacefully on November 29, 2004, and a $100,000 Endowed Memorial Scholarship, which was part of her legacy and which will benefit students for many years to come, has been established in her name. You too may be thinking about making a bequest to Saint Patrick High School. The language below shows how a bequest can very easily be included in your will. Feel free to print the bequest language page and provide it to your attorney. If he or she has any questions, please have them contact Gary D. Santella at 773-282-8844 ext 224.